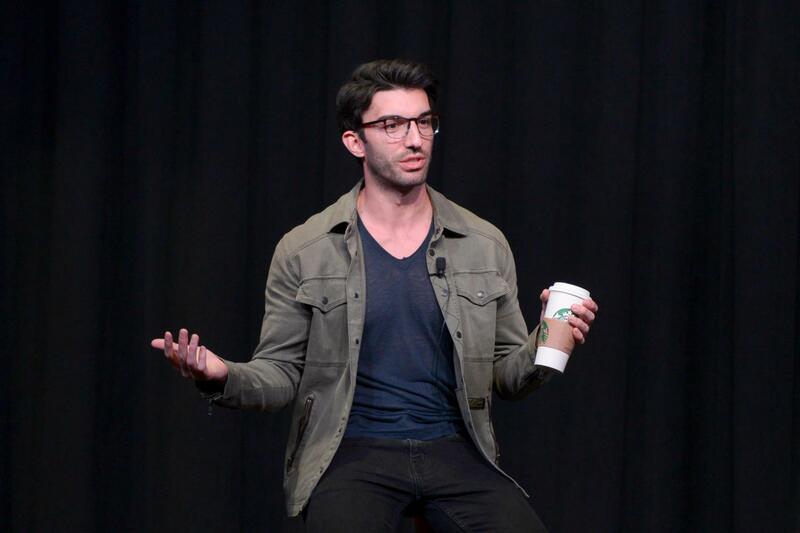 Students passing through the William Pitt Union last week may have noticed a sign announcing a University-sponsored talk with television actor and speaker Justin Baldoni. But unless they looked any closer, it’s unlikely anyone realized what he was invited for — Women’s Empowerment Week. Baldoni, who has a lead role on the popular The CW sitcom “Jane the Virgin,” gave a TED Talk addressing toxic masculinity in New Orleans last November for TEDWomen 2017. He’s been touring colleges since, with a recent appearance at Ohio State University, where he told students about how he’s come to redefine “being a man” in his own life. Baldoni’s talk at Pitt continued the tour and focused on using masculinity to empower women, but his delivery of that message was a lackluster, male-focused version of the feminism that Women’s Empowerment Week aimed to promote. Baldoni’s emphasis on empowerment certainly reached students, but it was initially difficult to determine who exactly he aimed to boost. Inviting audience members to applaud the men in attendance was an inappropriate way to open an event about women, and reinforced the theme of congratulating men for simply being present in feminist issues. Masculinity and our culture’s perception of it are issues we should unquestionably be discussing — in many ways, men and boys feel the need to hold back their emotions to an unhealthy extent, and that’s a problem. Pitt Program Council said that though they wanted Baldoni to speak at Pitt, hosting him as the keynote for Women’s Empowerment Week was not their goal — it was simply the only time Baldoni could visit Pitt during his touring schedule. PPC said they would have liked to have a woman give the keynote, but decided that since the focus of Baldoni’s tour was “redefining masculinity” and using that to empower women, it would fit well with the week’s theme. It makes sense why he would be included in a discussion about women’s issues. After all, perhaps one of the biggest obstacles to continued progress for women is the problematic way we often view masculinity — as something inherently opposed to femininity. But just because a point of view is relevant to an issue doesn’t mean it should be at the front and center of our attention. But it’s a shame that Baldoni diminished the feminist fire that fueled Women’s Empowerment Week. It seems Baldoni failed to recognize that for many, politics are personal — and attempting to equalize the experiences of men and women undermines the feminist empowerment he claimed to support. Whether PPC wanted Baldoni for the spot or not, it was a missed opportunity to highlight one of many women who would have been more than qualified for the job.